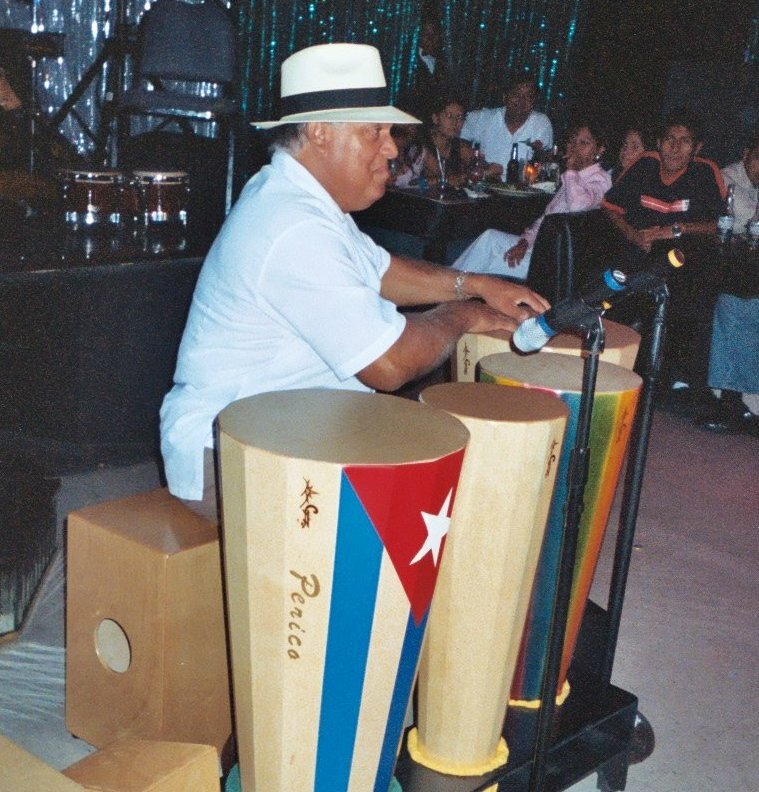 In the ever developing world of "CajongoTm Musical Instruments"
The standard Boku style "Babalu'" "Cajongo is constructed of 9mm Baltic Birch plywood for resonant tone and lasting durability. 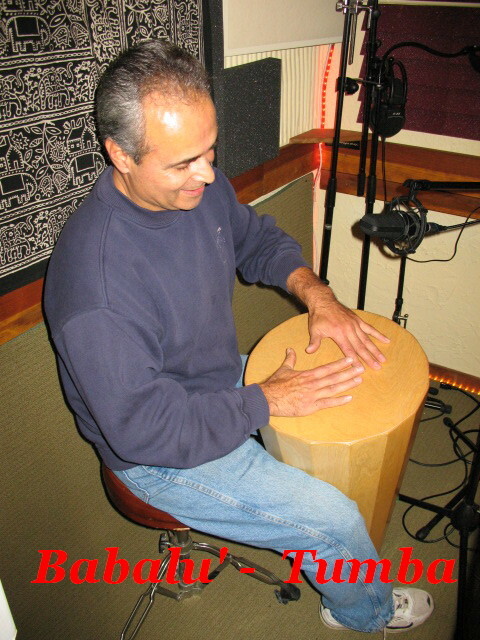 The skin is a very fine grade of Finish multi-ply, laminated for strength. 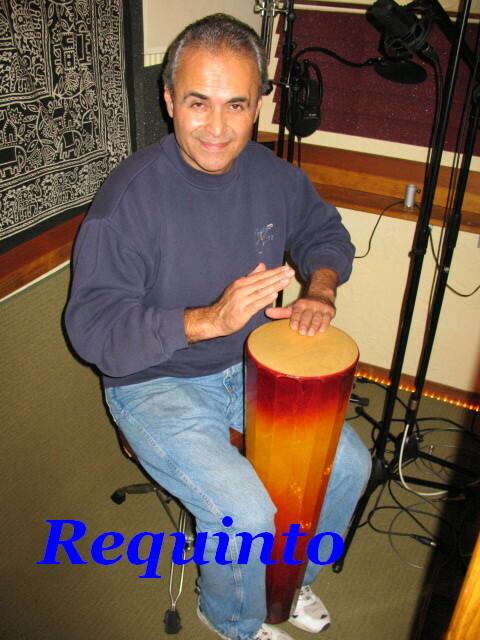 You are listening to Quinto & Conga "Babalu's"
The Mike Pacheco laying down a sample. 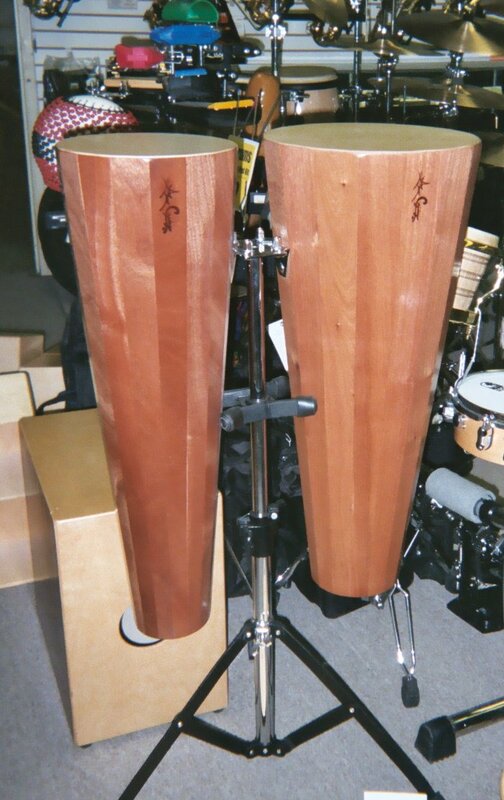 The "Disney hall" pair, Quinto & Conga on a " Toca Stand"
Babalu' Boku' "Conga" & "Quinto"
The Master on the "Babalu' s"
Honey, do you hear those drums? 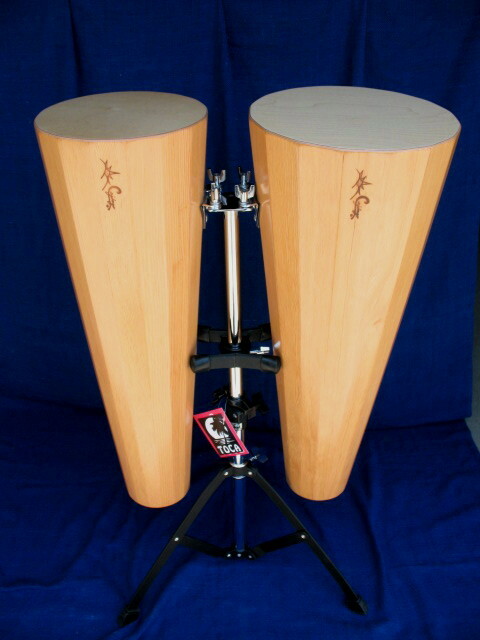 They sound like "Cajongos"TM . 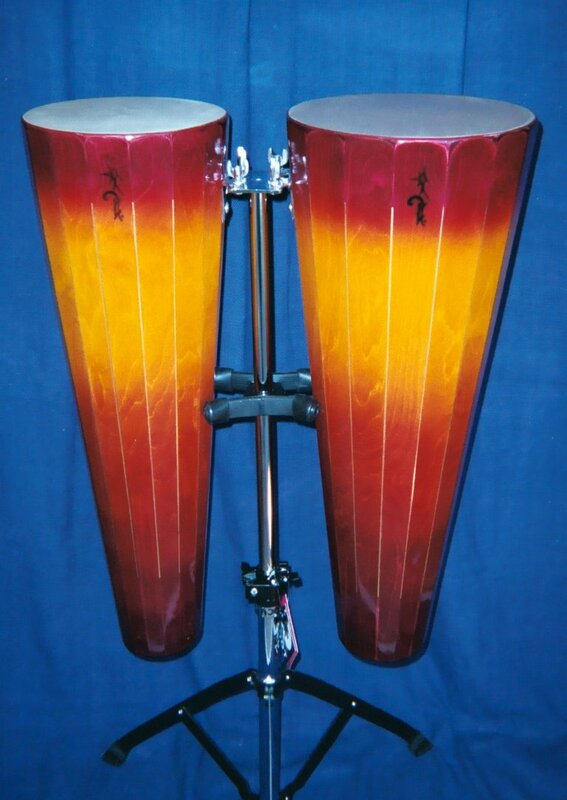 Let's paddle over and give them a WHACK! and let him know what we think!